This is my last blog post. At least for now; I’d love to come back if life ever gets less crazy because I do love this blog and my fellow talented prosers. Because this is my last post, I’m going to be a little self-indulgent and talk about something that is very important to me outside of writing because there are just some things that non-science people need to understand about how science research works. I have a Ph.D. in Chemistry. Currently, I am stay-at-home mom, but I have worked in the scientific community. I’m going to be sharing my experiences, and I know not everything I’ve seen is a universal truth, so I’d love to hear from the perspective of other scientists. If you are one, please leave a comment. The internet can be a crazy place, and there is a lot of misinformation out there, and a lot of anti-science ideas that are very harmful. I’ve been around on the internet enough to see some scary manipulation of numbers and facts to promote certain agendas. I understand how easy it is to be duped because some are very convincing. I think in some ways our education in science has failed us because it focuses too much on scientific concepts and not enough on how scientific research actually works which is what you really need to understand. I wish I could do everything in one blog, but I can't. So I’m going to hit the top five biggest anti-science arguments that make me cringe and explain why they are wrong. It’s just a theory. Yes, evolution is a theory, but in science, a theory doesn’t mean what you think it means. In regular life we throw around the word theory a lot. “I have a theory about (fill in the blank).” Usually these theories are based on pretty poor evidence and a little bit of logic. In science, however, a theory is generally accepted to be true until it is disproven. A hypothesis is more interchangeable with our colloquial use of the word theory, but even a scientific hypothesis is probably based on more evidence. I used to believe that a hypothesis once confirmed by experiments than turned into a theory which upon further testing turned into a law, but this is wrong. A hypothesis once confirmed by experiments does become a theory, but a theory after further testing just becomes a stronger theory, and then a stronger theory and so on. It never stops being a theory. Atomic structure is a theory. Germs are a theory. The science behind everything that runs our world is just a theory. So a scientific theory is pretty damn solid, not something to be dismissed. In case you’re curious, a law in science is a very strong, always reproducible observation like the law of gravity. What goes up must come down. This happens every single time you throw a ball in the air. That is why it is a law. There are very few scientific laws. For further explanation see here. What do scientists really know? They used to think the world was flat. Yes, once we all believed that the world was flat, but do you know who figured out that it was round? Scientists. I really hate this argument because it takes one of science’s greatest strengths and uses it to undermine science. Our understanding of science is constantly growing and evolving. This is a good thing. If the scientific method wasn’t designed to do so, we would all be stuck in the dark ages. We can only give you the best answer that we have for now, and that may change in a year or two or a hundred, but it still is the best answer that we have for right now. Just because someone wants something else to be true does not undo all the solid evidence we have for the current scientific explanation. The best explanation is always going to be the scientific one. The truth is that major well-accepted theories are not going to be completely unraveled with new discoveries. I’ve been in science long enough to see a few mind-blowing revolutionary changes (prions, ribozymes, and neo-Lamarckian inheritance just to name a few in my field), and while they did expand our understanding of how things work, they NEVER undid or disproved the prior theories. Really the current theory only needed to be tweaked slightly to fit the new evidence. New discoveries are only going to refine our current understanding not completely demolish them. So really you can trust our current scientific theories. I promise. Why shouldn’t we teach our children both evolution and creationism or intelligent design? They should be exposed to both theories. This is the only time I’m going to discuss a specific topic. To those who are religious, I’m not going to bash your personal beliefs. I am a religious person with a deeply held belief in God, but creationism is not a scientific theory. Creationism and intelligent design are both invalid scientific theories. They aren’t testable hypotheses. The only way to test the Intelligent Design hypothesis is to prove that there is at least one step in the origin of life or in evolution that cannot occur spontaneously. So you have to prove that something cannot be done. This is impossible because you cannot prove a negative. There will always be questions of whether there is another way or different conditions in which the step could be done. If you can’t test it, it can never move beyond a hypothesis to become a theory. But I believe that there is another problem with creationism and intelligent design as scientific theories. Putting God in a theory is harmful to science. Let me try to explain this with a simple example. Let’s say a child asks, “Why is the sky blue?” And someone answers, “Because that is how God made it.” Now the discussion is dead. There is nowhere to go from that answer. No questions to ask. Nothing will be learned about the natural world and how it works. This kind of thinking does not lead us to a deeper understanding of how the world works. Now let’s look at creationism or Intelligent Design (which is creationism repackaged). If one asks how did life begin? The answer according to intelligent design’s is God started it. That ends the conversation. There is no place to go, no more questions to ask. God is the ultimate authority and that is it. But if you look at the answer through abiogenesis (life started spontaneously), there are a million questions that can be asked. What came first, proteins or DNA? How did the first organic molecules spontaneously form? What would the conditions be like? What kind of solvent? And so forth. Now experiments can be designed to attempt to explore these questions. 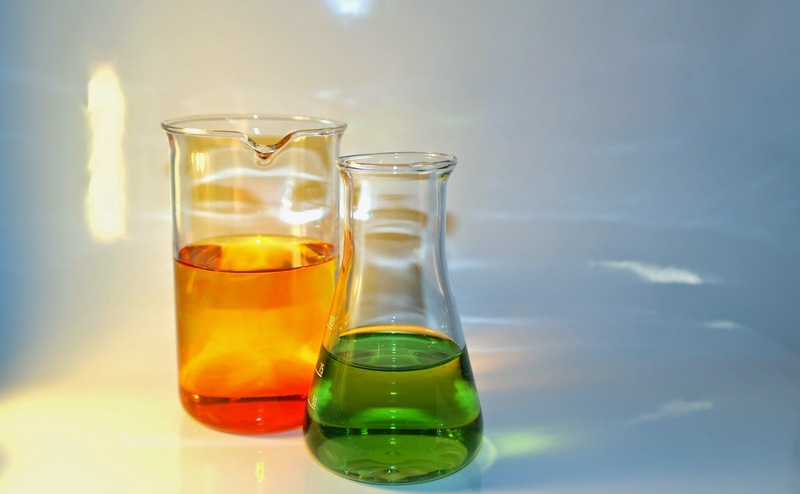 Science is all about asking questions, and anything that stops the questions from even being asked is damaging to the scientific method and halts progress. Science can never disprove the existence of God, but it also won’t ever validate your belief in Him. That’s why you got to have faith. You can believe whatever you want in your heart, but when it comes to science, creationism is not a valid scientific theory. To teach anything else would be irresponsible. Sure pharmaceutical companies are looking to make a profit, and I understand the mistrust. The US has had a history of big companies being unethical to make a few million or billions dollars. But the scientific community is bigger than pharmaceutical companies. It is bigger than your country (whatever country you live in). The scientific community is global. I’ve read papers published in different countries all over the world. That is a lot of people world-wide which would have to be in the pharmaceutical or politician’s pocket for these conspiracy theories to work. I did my research at a university. We had no funding from pharmaceutical companies. But yes, we did need funding. We got grants from the government (NIH grants), but we never reported to them. They never tried to oversee or control our experiments. We just had to prove we were productive and doing important research by publishing in respectable, peer-reviewed scientific journals to get our grants renewed. That was all. There was no great conspiracy trying to buy us to support whatever agenda. I think this is true for most scientists in academia (working at universities), and that includes scientists working with viruses and vaccines, and climate change. I have little experience with working in industry (which would include pharmaceutical companies), but I have a lot of scientist friends. They are pretty awesome and moral people otherwise they wouldn’t be my friends. That is my next point to these conspiracy theory arguments. Scientists are real people not faceless boogiemen. Like every other group of people, there are probably some who are a little slimy and self-serving and maybe even those who are truly evil, ruthless bastards. But like the majority of people in the world, most scientists are normal, decent people who would never lie about the safety and efficacy of vaccines given to babies and small children, that wouldn’t poison people just to make a corporation more money. Would you? Or would the people you know do that for any reason? Because the people I know wouldn’t, and that includes a fair number of scientists. Finally, I want to point out that there are agendas on both sides of every issue. Many times those who undermine the authority of doctors and science are trying to sell you something or build their own platform. I don't understand how people are so willing to trust some random person on the internet and not those who are the known experts on the subject. Why are the scientists and doctors the ones in a conspiracy and not the random person pushing alternative medicine? Every side has those with an invested interest. That is why I trust the side who actually backs up their position with scientific experiments and data. This non-peer reviewed study or article with no sources proves my point. I can find support for anything I want on the internet, and some even sound scientific by using key buzz words. Anyone can post anything they want on the internet and even put whatever letters they want after their name to seem official (Ph.D., MD, etc.). The internet is swarming with misinformation, and trying to navigate those waters can be tricky and confusing. There are people who are intentionally or unintentionally misleading you. That is why sources matter. I get really frustrated with all articles that are supposed to be informing on a scientific topic that do not site sources. No one should just take the word of random people on the internet. Sources need to be cited to prove the facts that they are asserting, and you need to check those sources because sometimes the data obtained from those sources has been manipulated, modified, or misrepresented in the article, and sometimes the sources do not say what the author claims they say, and sometimes the sources are not legitimate. You need to be diligent because there are people out there who are willfully trying to manipulate you, and they are getting better at it. It is important that research sources come from credible peer-reviewed scientific journals. Peer-review is very important. I’ve published a few papers in scientific journals, so I’m pretty well acquainted with the process, and I will outline it for you here. First you submit your paper to your favorite scientific journal. The journal then sends out your paper (removing your name and information so the reviewers don’t know who you are) to three to four other scientists who are experts in your specific field of study. Essentially these are the researchers who are studying the same thing you are studying. 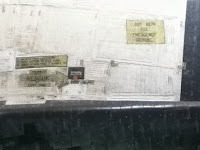 Some could be your direct competitors (although they do not know they are reviewing your paper). These reviewers report back to the journal and comment on the validity and importance of your research. They recommend whether the paper should be accepted, accepted with revisions (revisions may mean more experiments), or flat out rejected. The scientific journal will not publish your paper unless the majority of reviewers recommend accepting the paper. This is a rigorous process that is essential to ensuring the validity of papers being published (although occasionally a bad paper manages to sneak through). I’ve seen this process and for the vast majority of the time it works. Scientific journal’s reputation and importance in the scientific community hinges on the validity of the research papers it publishes. Scientists’ reputations are also on the line. Bad science destroys careers and sinks journals. It is in everyone’s best interest to do good, solid studies, and although there are those notable exceptions, who are eventually discovered, for the vast majority of the time, the peer-review process is pretty solid. Thus, it is vital that any citation to a study is linked to a peer-reviewed journal, but how do you know the journal is peer reviewed? Here are a few links to help you. This first one describes the format of peer-reviewed papers which usually indicates that the paper is legitimate peer-reviewed article, but not always. The second one shows you where to look to see if the journal the paper is published in is a peer-reviewed journal. And finally because there are a lot of scientific journals that look valid and claim to be peer-reviewed but aren't, here is a list of questionable journals that are not accepted by the scientific community (note: there are two lists. Make sure you check both of them). If the source links to an article from one of these journals, don’t trust it. They most likely are not peer-reviewed. Determining the validity of the source is not enough. You need to actually read the sources, or at least the abstract, to make sure that it does indeed support the author's claim. It is an involved process to determine the validity of these claims of random people on the internet, but if it is really important to you, you can do it. Just remember to look at the actual data, and not blindly support point of views because they appeal to you. You need to find the truth. And if this process seems too lengthy or you just don’t have the time, it is okay to trust the experts in the field (check their credentials if they are random people on the internet). I don’t know why people have a hard time with trusting the experts. If I need my car fixed, I go to a mechanic. If I want to know about the civil war, I read articles or books on the civil war by civil war historians. When my daughters are sick, I take them to the doctor. We live in a society that specializes. Everyone in this world through schooling and/or work has become an expert in something. I trust you in your expertise. Why is it so hard for some people to trust doctors and scientists in theirs? I did the A-Z challenge on my personal blog this year. 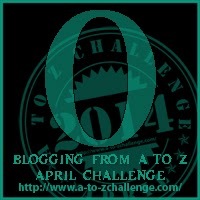 For those of you who don't know, the A-Z Challenge runs every April. Bloggers write a blog post for each letter of the alphabet, one a day except for Sundays. Then you hop from blog to blog, reading other blogger's entries. It is a lot of fun, and it has helped me form my own network of writers, and has even helped me make new friends. This year was no exception: I found several awesome blogs, and possibly formed one real friendship. I guess time will tell. However, I quit after the letter T, which is why I am doing my reflection on the challenge early. Writers are obsessive people. Steven Saylor said, "Writing a first novel takes so much effort with such little promise of result or reward, that it must necessarily be a labor of love bordering on madness." I would add that writing a second novel, with the full knowledge that writing the first one was even harder than you'd feared is probably a sign of a completely deranged mind. By the third novel though, I imagine most people are starting to feel more at home obsessing about their novel than not. (Long pause for applause. Oh, please, please...no standing Ovations. Not yet. Well. If you must...) This reminds me that O is also for Oreo milkshakes, which I promised myself once I finished. As I was saying, yesterday I finished Ana's part of Pyromancy--and I'll tell you, I spent the rest of the day having no idea what to think about. In the past few months I have begun dreaming Ana's dreams, thinking Ana's thoughts. Sometimes I even forget I could not run a marathon on a beach and then hurry off to my boxing class. (Snort.) It's obsession, pure and simple, and I don't know how to write a novel any other way. I wish I did. I'm a big believer in balance. But somehow balance and novel writing have never gone hand in hand in my life. your mood depends on what's going on in your story. you forget your real life for your fictional world. you know your characters better than yourself. you sit down to write for half an hour and before you know it 5 hours have gone by. you shut down your computer and get into bed, only to think of something that you have to write down, so you get out of bed and start your computer up again. you're trying to write a grocery list, but every scrap of paper you can find is filled with random snippets of dialogue or beautifully worded phrases that make no sense at all out of context. I love to travel. I don't get to do it near as often as I'd like but part of that is because I like big long trips that take me somewhere as different from home as possible. I want to meet people who see the world from varied perspectives. I want to understand what it's like to live in situations where life isn't so easy and not everything is a mouse-click away. How does this improve my writing? First, it gives me things to write about. A few years ago my boyfriend and I went to China for six weeks. We had a Lonely Planet guidebook in one hand and a crappy phrase book in the other. We had a great time and brought back tons of stories. You can bet that little snippets of those adventures work their way into my stories when I need to add a little spice. The more experiences you have, the more you have to authoritatively write about; though for fiction you might have to twist the truth a little to suit your tale. I'll tell you a little secret about getting great travel stories. Most of the coolest stuff happens in between seeing the big sights. Stay off of tours, take local transport, eat like the locals and don't worry about whether you speak the language or not; you don't need it. Another thing travel does, if you go in with an open heart and an open mind, is it lets you see how other people live. This is one of the reasons I don't take tours – I would miss too much. People will share their lives with you if you let them. They will show you what's important to them and what they're most proud of. Sometimes it their town, sometimes their business or maybe it's the braided bracelet their daughter made for them. Regardless, you will gain insight. This not only broadens your perspective, but it will help you create rounded characters with more realistic motivations. If you travel to places where you don't speak the language (or very little of it) you will become a better communicator. In China, my boyfriend and I had a number of conversations where no comprehensible language was exchanged but meanings were entirely clear. There were the old guys playing Chinese chess in the hutong area of Beijing that invited us over to watch. With no words, one guy made it clear that he thought my bf's gut was my fault because I was such a good cook. Another time, at a monastery on top of a mountain, a group of young monks asked my boyfriend if his hiking stick was a walking aid or if it was for seeing. Again, no words. And in a pizza place in Yangshuo we found out a kitten's name translated as 'Fathead' because, well, for obvious reasons. All of these conversations happened using sign language, gesture and intonation. For as much as we writers like to use words, sometimes there are better ways. Once you realize this, you might find your characters interacting through more than just dialog. Travel gives you a lot more fodder for creating great settings. Visiting a local African market is far more visceral than seeing one on a travel show. Being in a town that only has dirt roads after a rain and experiencing what it smells and sounds like. Heck, the first time you go somewhere and the street is filled with the smells of exhaust, grilling food, camel dung and the local spice market all at the same time I promise it'll be an experience you'll never forget. Likewise, the first time you swim in water that's so clear you can see twenty or more feet to the bottom can be amazing. In writing you want to appeal to all of the senses. Having been there for real allows you to draw upon that and lay it out on the page. And the best thing is you can take bits and pieces of all your different experiences and mix them together to create your fictional world. The more you travel, the more pieces you have. I'm going to end with my top five travel tips for maximizing your fun. 1) Don't let fear stop you. Most places are far safer than their warnings. I live in LA and if I listened to the travel warnings about this place, I should be terrified. Sure, you might want to avoid places that have open hostilities, but other than that, most of the globe is safe enough. And I say this as a woman who often travels solo. 2) You'll always be a visitor, but try to do things on the local level. Eat street food or at small, non-touristy restaurants, take buses and motos and tro-tros. Talk to people - the ones that show you around, that drive you somewhere, or serve you food. Talk to shopkeepers and butchers and wood carvers. Share with them as much as they share with you. You will be richer for it. 3) Don't be an Ugly American (whether you're from the States, or not). Do not get upset when things are different from home or not as fancy or perfect or they take a little longer. You've come to their country to experience it, so do that. Don't expect anywhere else to be like home. Don't put unreasonable expectations on a place that has different resources. 4) Keep your sense of humor. When you travel things will go wrong. If you accept that from the beginning you'll be a lot better off. When you face adversity with laughter, or a smile, it shows good character and that resonates through all cultures. People will be more open to helping if you're good natured about the difficulty. 5) Try as many new things as you can. Don't turn down experiences because you're scared, or tired. When will you be here again? Go for it. Just do it. Put in whatever motivating phrase you need here. Sometimes you'll need to listen to that little voice that keeps you safe but push yourself out of your comfort zone. Of course you'll have some regrets about things you miss for decent reasons, but try to keep those to a minimum. One more thing – write everything down. Whether you keep a travel journal, send e-mails to friends and family or blog on your trip, keep a record so you don't forget all those great little stories you're going to accumulate. The books, that is. Not the ages/grades in school, as the middle school years were not my favorite at all. First, in case you were looking for a definition, the SFWA website has a decent cut at the way publishers look at MG versus YA. For me, it's easiest to think of it in terms of grades and age ranges. Middle grade books are generally designed to be appealing to readers in 3rd or 4th through 8th grades, or about 8-13 years old. As an adult, though, I find the books plenty appealing and I suspect you will, too. Here are a few recent favorites, in no particular order. 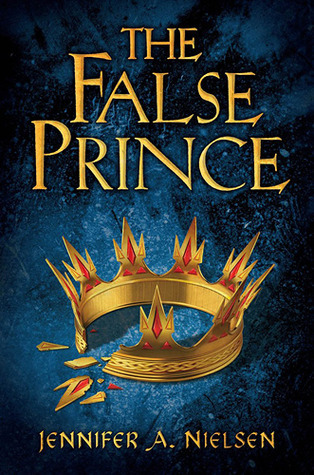 The False Prince by Jennifer A. Nielsen - I just finished listening to on audiobook and I really enjoyed it. I listened to it much faster than I usually get through an audiobook, having found many excuses to listen over this past week. My closets have never been this clean! 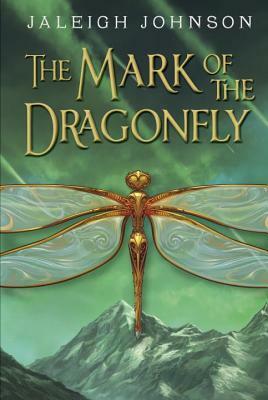 has written a different kind of book than what I usually see in the middle grade range and it's tremendously appealing. A big story that manages to maintain it's focus on a small cast with big problems and achieve plot and characterization objectives many books can only reach at blindly. Stoneheart (and sequels) by Charlie Flecher was one of the most enjoyable experiences I've had reading middle grade. The reading experience was second only to the His Dark Materials trilogy by Phillip Pulman, known by the first book in the series, The Golden Compass. This is not a series for the faint of heart, as it touches on deep, deep themes of life, love, faith, loss. But the series concludes in such a satisfying way, even if the ending is poignant and bittersweet versus unicorns and rainbows. You know…I was doing this off the top of my head and all the authors I can think of immediately here are female so I'm just going to leave the list as is because that's *awesome. * There are other great male authors of middle grade, both famous and up-and-coming (Rick Riordan, Curtis Jobling, ND Wilson, John Flanagan, Anthony Horowitz, Greg van Eekhout) but yeah, women are awesome. So now you know my secrets - who are some of your favorite middle grade authors/books? *Which, to be clear, is completely FINE with me, push those boundaries any which way you want! But as a reader there are certain areas I don't wish to explore in fiction, sexual violence for example. As a mother and a frequent book-recommender for children and their parents, I find it hard to recommend YA book titles to anyone younger than about 8th grade unless I've read the book myself. So, I had the second half of my dystopian post all ready to go, and then I tried to insert spoiler tags. In that moment, hitting ctrl+z somehow, instead of getting rid of the bad code I typed in, it deleted my entire post. While I was trying to figure out why the 'redo' button wasn't an option, Blogger helpfully saved my new, now empty post. And I was thoroughly screwed, because Blogger doesn't have a feature like wordpress does that allows you to undo the twenty most recent revisions you've made. And it doesn't have any other way to access old drafts. I spent half an hour googling how to recover old drafts and attempting various methods before I acknowledged that the post was gone forever. And forgive me, but I just don't have it in me to retype the entire thing. Especially since I'm also supposed to be writing for Pyromancy tonight. And all because I'd thought it would be a good idea to type my post in blogger and code as I go, especially since apparently it's a bad idea to copy a whole post from Word to blogger, because Word has a lot of weird html code that blogger doesn't like. Heaven forbid any software work together properly! In conclusion, please enjoy this picture of ducklings. Hopefully I'll manage to get the post up next time. I was in my last semester of my Master’s program at BYU when I realized what an opportunity I was wasting. There was a class on the course schedule called “Writing Science Fiction and Fantasy” and I realized that I needed to take that class, even though it had absolutely nothing to do with my degree in Special Education. So I signed up, blissfully unaware of how foolish I was being. It was a 400 level class, but I was in a master’s program, which somehow made me feel overqualified for any undergraduate class. So here I am, with a full master’s degree course load, working on my thesis, with a full time job. Did I mention I was also engaged? Our wedding date was two days after the semester ended. Writing Science Fiction and Fantasy was taught by the amazing Dave Wolverton, though years went by before I realized how cool that was. My favorite part of the class was our textbook, a book full of short science fiction stories, including “It’s A Beautiful Day” by Isaac Asimov, which is still my favorite short story ever. My least favorite part of the class? Writing. I had no idea how to pull a plot together, how to assemble a cast of characters…And this class was not about how to write a story, it was about how to perfect a story, and how best to add fantastical elements to it. I was hopelessly out of my depth. And busy with my “real” school life, and my jobs. 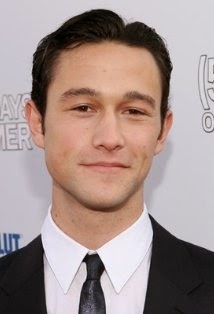 And addlepatedly in love with my fiancé. A few days before the end of the semester, I realized I was getting a C in my writing class. A C! As a master’s student, I could not get a C on my transcript. It would be dreadful. So I met with Professor Wolverton. I explained my situation, in the hopes that he would give me an extra credit project or something. He was very nice. He said that he thought it was awesome that I had taken the time to take a class out of my program of studies, and that he had done the same thing as a student too. He agreed that a master’s student could not get a C on their transcript and promised to take care of it. And he did. He gave me an A, no strings attached. When, years later, I found the Daily Kick In the Pants, and realized that my former teacher was an icon in the science fiction world, this little blip in my path to writing took on even more significance to me. A little over ten years ago I started to realize that I'd lived in this fascinating city of Los Angeles for my whole life and there were still things I hadn't seen or done. Between this and getting sort of bored with just going out to dinner for my birthday, I started a new thing amongst my friends. Now, on my birthday, we go see or do something that's specific to Los Angeles. It started with a trip to the La Brea Tar Pits. Since then, we've been to the Watts Towers, found a little Tibetan/Nepalese restaurant, ridden horses in Griffith Park and gone to the LA Arboretum, amongst other things. This year, we went to see the Space Shuttle Endeavour at the California Science Center. For a science fiction geek like me, this was awesome! First off, the Science Center is a fun place. The exhibits have all sorts of interactive things for kids to do in all different areas of science. Us big people enjoyed them to, when we could get to them. There's also an IMAX theater where we watched a film about repairing the Hubble Telescope. It was very cool, though I wish they'd have shown a few more deep space shots. The 3D even worked for me, which it usually doesn't. There wasn't enough time in the day to see everything. We did find time to ride the shuttle flight simulator. It was tame (kids, remember) but well done with a good sense of motion. 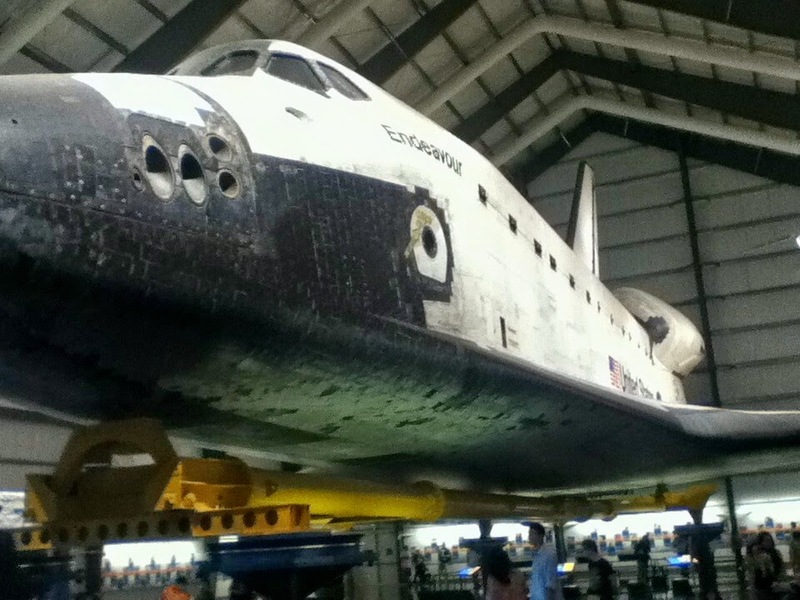 The shuttle itself is in a temporary hangar. 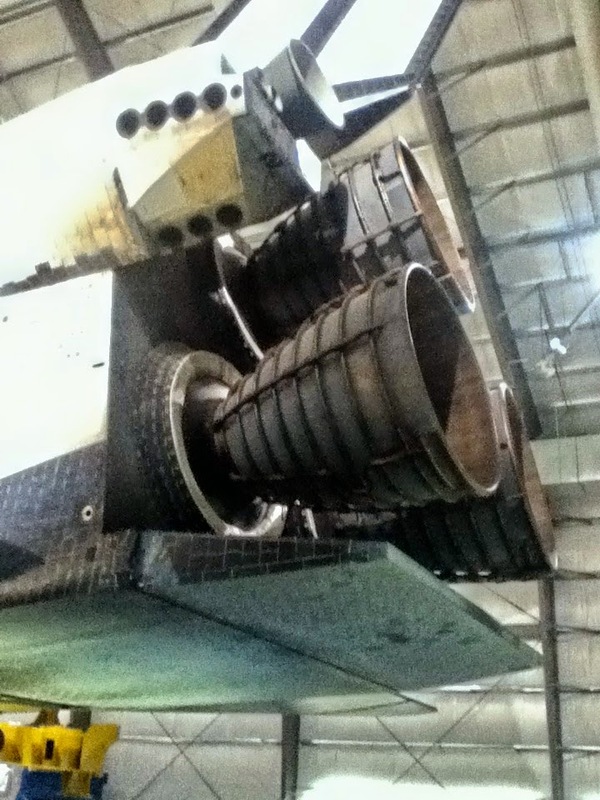 If you're in the LA area I recommend going to see it now because in about four years they're going to upright it, add the boosters and have a three tier observation area. While that sounds great, the opportunity to get as close as you can now is not one to pass up. You can see just how big the shuttle is, or isn't, in its current state. And it sits, just out of reach over your head. One of the funniest things that struck me was the "Cut Here for Rescue' sign with the big arrow. It was only the big arrow that made it funny. Needing rescue in space is serious business. It made me think about what it would mean for everything to have gone so wrong that the crew would be hoping for someone to come along and cut a hole in their ship to get them out. How long would it take to get a rescue ship up to them? What would be their hope for survival? Astronauts are a brave bunch, that's for sure. The volunteers in the shuttle hangar are full of useful information. 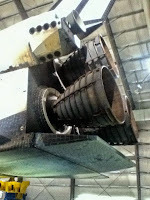 My bf and I got to talking to a retired engineer that worked on the shuttle and he had all sorts of quirky stories. 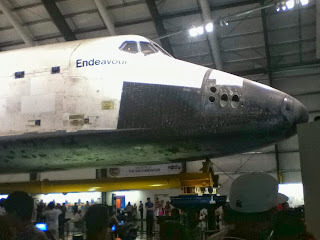 One in particular about a mysterious scorch mark on the top of the shuttle wing and a mystery black blob that was discovered only after partial disassembly. After lab analysis, they discovered that someone had accidentally left a roll of tape inside the wing. Fortunately, no harm was done. Seeing the shuttle, and the IMAX movie and contemplating the vastness and mysteries of space give insane perspective on how small we really are. It makes me glad I write science fiction because I'm reminded that the possibilities are infinite and so is the human imagination. I love that my husband is my best friend. The friendzone is in the corner of our relationship. No, really. I'm practically phoning it in. I'm visiting my Mom this week (it tears my soul into tiny little pieces to not say "my parents", which explains one of many reasons I'm phoning this one in.) I don't have time to put to my usual Prosering. 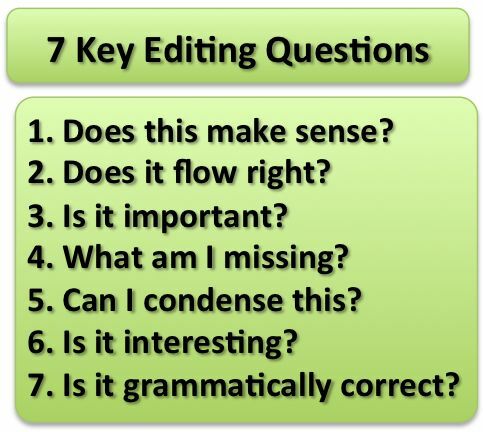 HOWEVER, I stumbled upon a pretty article about writing-related pinterest boards this week and thought I would pass it along for your enjoyment. I'll be honest, I've never given much attention to Pinterest. I find it frustrating that I can't just pin articles I like (that may or may not have pictures.) The software may have changed from when I first signed up with Pinterest, but back then it wasn't allowed. Frustrating for a writer! Much of what interests me online is *writing* and may or may not have a picture associated with it. I've been meaning for a while now to write a post about dystopian YA fiction. I finished several dystopian series at once near the end of last year, right around the time the second Hunger Games movie came out. And now, with the Divergent movie having done so well, it seems like the first time to finally get to finishing this post. Dystopians have been popular for a while, but it really kicked off with the Hunger Games. Theories as to why they're so popular range from high school is like a rigid, dystopian society, to dystopians hold a mirror to society, to my personal favorite - recent dystopian fiction tends to follow the Hero's Journey. Oh, and apparently Edward Snowden is a lot like Katniss. Anyway, the Hero's Journey theory actually makes a lot of sense - I don't think the Hero(ine? )'s journey is ever going to go out of style. In a distant, dark future, a sudden event changes a young woman's life, pulling her away from everything she knows. The society as she's known it has always been bad, but it turns out its worse than she thought, and she finds herself at the center of a revolution, and a race to save what's left of society. But is the revolution everything it seems? Who are the good guys? And in fighting the revolution, will she has to sacrifice the boy she loves? From what I've read so far, the Crewel, Delirium, and Under the Never Sky series (and possibly Shatter Me**) should probably be in this group, but I haven't finished them yet, and I'm far too lazy to do so by the next post. In any case, for this first post, I'm going to talk about patterns and shared ideas and fiction. I don't think similarities are necessarily a bad thing. It's a little startling to me how similar these dystopian novels are on that basic level, now that I'm aware of it. But they're certainly not the first time an idea has been recycled. For one, there's the hilarious comparison of Pocahontas and James Cameron's Avatar that's been around for a while. And it's not like I'm going around saying, "Oh darn, too many awesome strong female characters who save the world!" And in Fantasy, we have the whole Tolkien subgenre. And Arthurian stories, which I've never liked. I mean, it's a never ending pattern of "everyone betrays each other and then they die." In most stories, you have hope that something good will happen at the end, but with Arthurian retellings, it's pretty much set that everyone dies tragically. Then, of course, there's urban fantasy. I'm pretty sure Laurell K. Hamilton and Anita Blake are solely responsible for the current trends, though I'm too lazy to Google it to see if I'm right. And yes, I know Emma Bull's War of the Oaks is the real first urban fantasy. But Hamilton is responsible for the vampire/witch/shapeshifter/half (or full) faerie/necromancer/wizard, who lives in a city and hunts the local vampire/witch/shapeshifter/half (or full) faerie/necromancer/wizards, all while fending off her attraction for a darkly mysterious vampire/witch/shapeshifter/half (or full) faerie/necromancer/wizard. Oh, Anita Blake. I remember how awesome you were before you gathered your male harem. All those interesting moral thoughts you had about religion and intimacy? Whatever! Forget those!Though I think I'd probably hate those books if I started reading them now. But at the time, I loved them, and Anita was in a class of her own. So why do we keep seeing so much of the same? I think some of it is comfort - my comfort reads are historical romance. Not sure why, because they're some of the most formulaic of all genres, but there's something soothing about pretty dresses and a guaranteed squishy happy ending. But I think there's another aspect at work: publishers will sell what is likely to be successful. That's not necessarily a critique. Their job is to publish books they know people will buy. It can go deeper than that though. Here is an excellent and thoughtful post (WARNING: contains adult language). from the review site Dear Author (they have a ton of amazing and insightful articles there on publishing, self-publishing, authors behaving badly, and more... apart from all the book reviews). Assumptions about what readers want not only reinforce the sexist status quo, but they create homogenized books. Books in which we know what’s going to happen before it happens.... And as the comments from self-policing authors attest, these established norms are self-perpetuating. They’re writing what they’ve read, what they expect to read. What do readers want? Perhaps we won’t truly know ourselves, until we get to experience all the possibilities. Maybe it will be urban science fiction, with the android/cyborg/alien/space pirate/three-headed space lobster who hunts android/cyborg/alien/space pirate/three-headed space lobsters and fights off her attraction to a android/cyborg/alien/space pirate/three-headed space lobster. Coming up next week: the second half of the dystopian post, where I talk about what does and does not work in this particular brand of dystopian fiction. *Blogger flags dystopian as misspelled - and offers 'utopia' as the only correction. STOP TRYING TO WHITEWASH EVERYTHING, GOOGLE! I will not bow to your evil empire! **A large part of the reason I haven't read this one yet is because the heroine's name is Juliette. I think that would confuse me too much right now. ***Yes, self-publishing is its own thing that might be the solution, but I'm not going to talk about it in this post, because it's late and I'm lazy. Massive Spoilers—please watch the finale before reading. From my random reading of fan responses to the finale of HIMYM on the internet, it’s pretty clear that fans either loved the ending or hated it. It was a risky move, but I applaud the writers for daring to be so real. I liked it. I would’ve liked it more if I ever felt that Ted and Robin were right for each other (which I didn’t), but it came full circle in a very satisfying way. 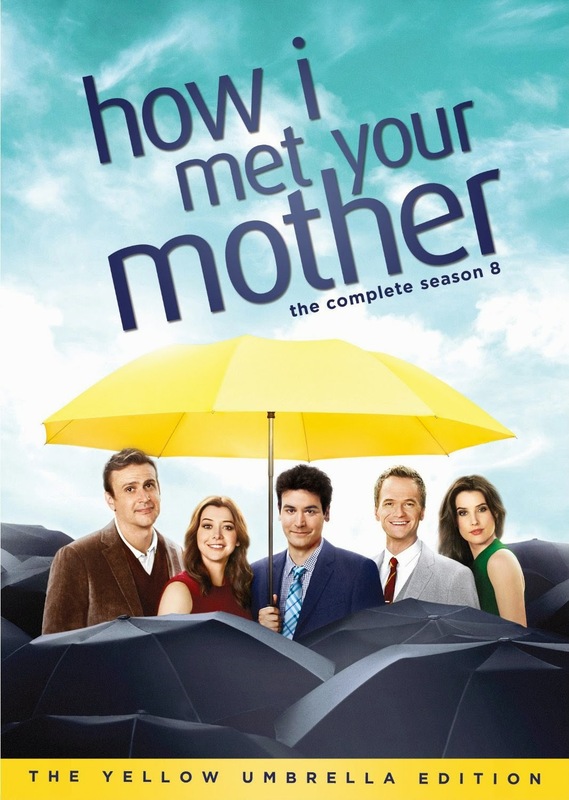 How I Met Your Mother never shied away from messy. It was a very funny show and mostly was light hearted, but it had those moments that were real, Lily and Marshel’s break-up, Marshal’s father dying, Robin learning she couldn’t have children, and Ted being left at the altar. So it shouldn’t be too shocking for the fans when the finale gets a little messy because messy is real. I know some audiences are never going to like messy. They want stories that show them that good concurs evil, that everything has a purpose, and that true love lasts forever. I don’t blame them because I like these too. Life is messy enough, and sometimes you need stories to show you how life should be. But I think sometimes we need those stories that are messy because we also need to understand that our lives are not wrong because they don’t meet those ideals. So here are few of the real life lessons that I liked from the finale of How I Met Your Mother. Robin and Barney’s divorce- Sometimes even when you love someone, you just can’t share a life with them. So much time was devoted to the romance between Barney and Robin, and I can understand the fans anger that the show had them divorce so quickly. I think the writers were trying to show that these two really did love each other, but they just couldn’t make it work. Love is messy like that sometimes. In some ways, you can’t really choose who you love, and sometimes you love someone who isn’t right for you. So rarely do we see this idea shown on TV. I kind of think it needs to be said. Robin Leaving the Group- This was harder for me to watch than Robin and Barney getting a divorce because the show worked so hard to show how much these people meant to each other. And seeing Robin pull away from the group was heart-breaking, especially because she didn’t want to. But it was understandable. Break-ups are rough, and the let’s just be friends sentiment is hard to pull off in real life. Robin struggled with this in earlier seasons, and it was clear that this time it was just too much for her. The Mother- This season spent a lot of time convincing the audience that Tracey was perfect for Ted, and they did a great job. Kudos to the writers and the actress to bring in a character for such a short period and make her so real and loveable. She was the love of Ted’s life. I think that was clear. A lot of fans were upset because she was so awesome, that she shouldn’t have seemed more right for Ted than Robin. But I think that was the whole point. Tracey was better for Ted. She gave him the stable, deeply-rooted life he wanted, but with his kids grown and his wife gone, Ted was ready for a different life. We grow and change, and there are times in our life when we need different things. Robin and Ted- I wished I picked up from the beginning that this was Ted and Robin’s story. Looking back, it was pretty obvious. The story began with them meeting, and they kept coming back to each other over and over again over the years. For some reason, Ted and Robin never quite worked for me, so I had a hard time seeing it. But thinking back, I can see that this was quite the epic love story, of two people who cared deeply for each other, but just didn’t want the same things in life. Robin had an amazing career where she traveled the world. It is hard life to share with someone else, but that was what she wanted. Ted wanted a family and home. It was who he was, and even though he may have believed that he could’ve given that dream up for Robin, I don’t think he really could have. If Robin and Ted had gotten married from the beginning, they would’ve gotten divorced. This story to me is about the people you love, and how much they mean to you. I personally don’t believe in soul mates. I think that there are a lot of people you could love if you really got to know them. Some of them work for you and some don’t, but the love is real either way. Ted loved Tracey, and he had a beautiful life with her. If she had lived he would’ve loved her and stayed with her and been faithful to her until the end. But he also loved Robin, and it was kind of beautiful that they finally both reached a place where they could be together. I thought the final was perfect. So thank you writers and producers of How I Met Your Mother for giving us a truly legendary show. So what did you all think of the HIMYM finale? P.S. For those of you who thought I was going to trade spots with Sheena, April Fools. Seriously, I felt the urge to write this post after watching the finale, but please come back next week for part 2 of Sheena's epic real life love-story. Sorry everyone.